These vinyl end caps help prevent your M1 Garand's Crown from being damaged when not in use. 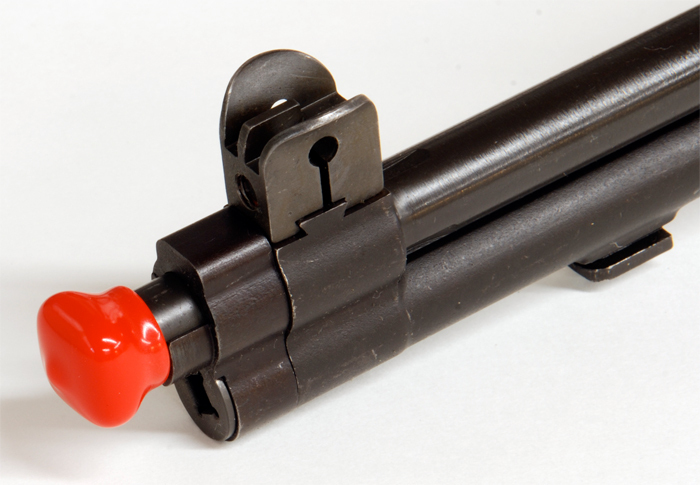 The operating rod end cap prevents your M1 Garand from damaging other surfaces when in storage or transport. 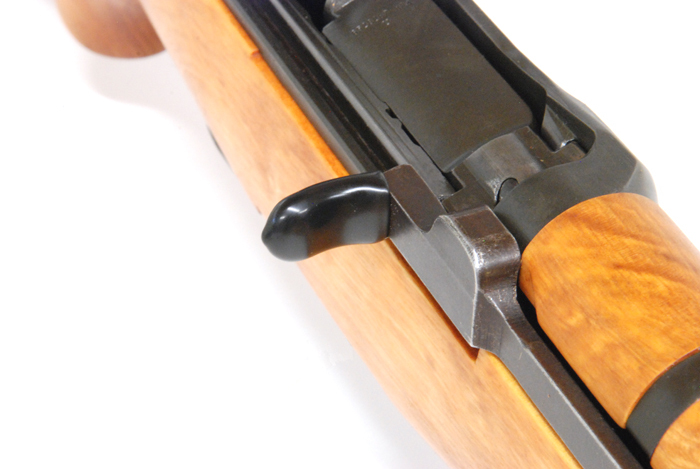 The barrel end cap protector helps protect your M1 Garand from damage to the crown of the barrel. Accidental bumps and drops can damage the crown of the barrel causing the accuracy potential of the rifle to be degraded. Always protect the barrel crown when transporting or storing your rifle. Our vinyl cap tightly fits over the end of the barrel and provides protection against accidental dings and dents. Safety First!Always remove the barrel end cap before loading the rifle. The operating rod end cap is provided as a measure to prevent your M1 Garand from damaging other rifles or soft surfaces that the handle may come in contact with. Due to its design its very easy for the operating rod handle to ding surfaces that it comes in contact with. The most common damage occurs to other rifles that are adjacent to the M1 when in storage or transport. © 2014 Garandgear.com. All Rights Reserved.